And for those who don't know: marasmus is a disease or something...basically it's a form of severe protein-energy malnutrition characterized by energy deficiency. Ya I got that straight from wikipedia. @ -SAD_ & Xila31: ya...it's sad. It gets a little worse. But then the all comedic part starts! @ Effigy: lol too bad. It prolly would have been a good one. @ ralph: well good lol, i tried to make it funny even though the baby died, because marasmus is like a wasting away disease so you wouldn't die from it in 2 seconds. So I'm glad someone laughed. If you can't laugh at the pain and suffering of others then what can you laugh at? I like the new layout, though I can only click on up to two rating-stars. Is this just me? @ralph: ahh dammit no it isn't just you. Now I have to figure out why it's doing that. But thanks for letting me know! And thanks for liking the layout. 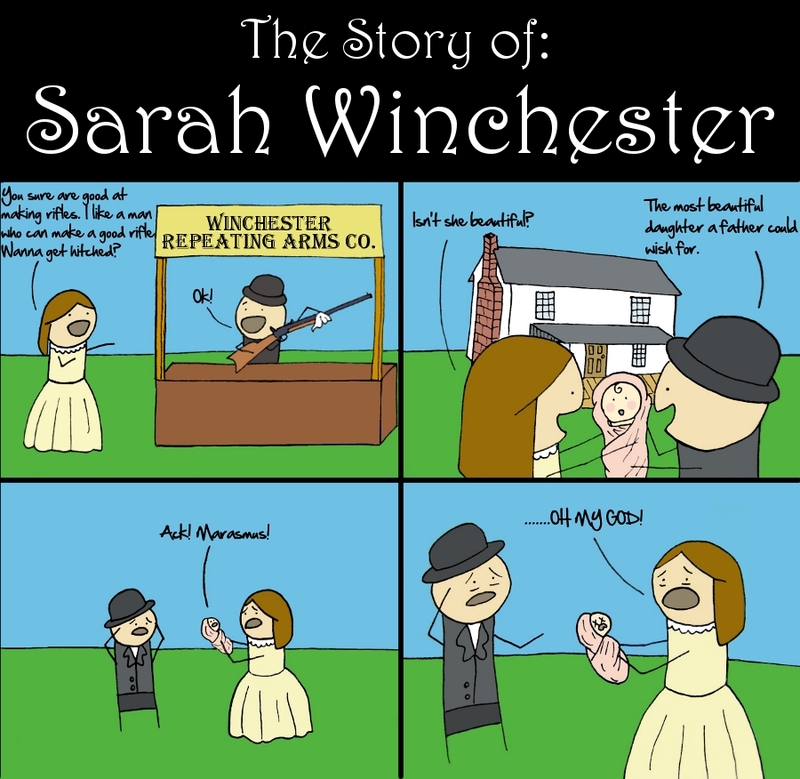 I was looking for the joke for a bit and then I was just like "Well I guess dead babies are pretty funny?" History comics rock tho. Hark A Vagrant is the raddest. Ya there isn't really much of a joke. It's really just setting up the story. Holy crap, thank you SO much for putting up that link Em Kultra, that comic is just about the funniest thing ever.